Brintons has helped Kidderminster Town hall re-create 19th century history by supplying a design through its expansive archive. 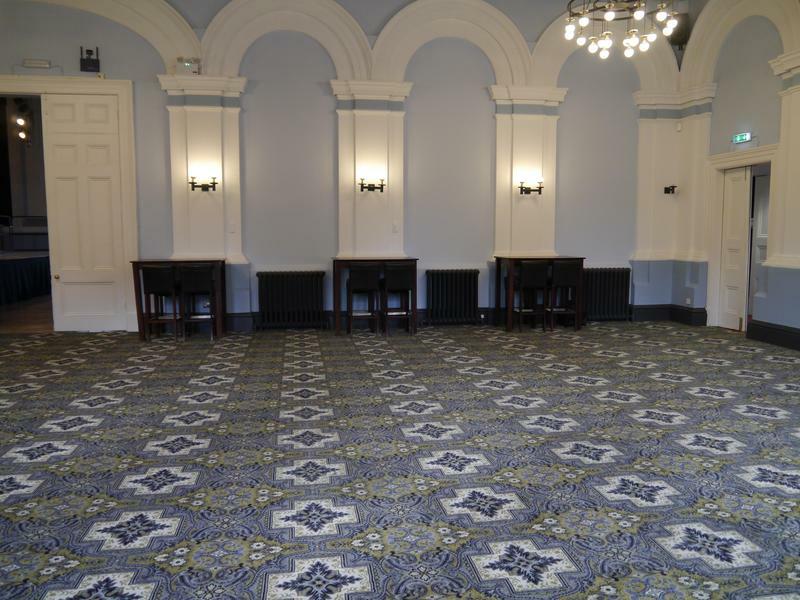 Situated in the heart of Kidderminster’s conservation area, the Town Hall is a landmark town centre building with fine architectural features both externally and internally. It opened in 1855 with a donation from William Brinton and features one of the country's first William Hill and Co of London organs. 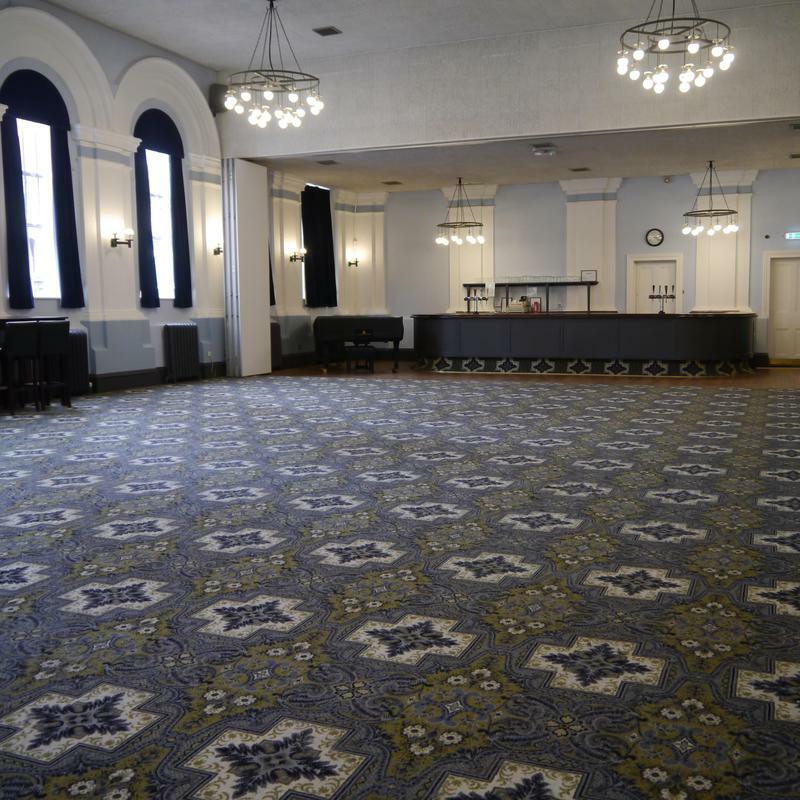 The venue is used for a wide variety of cultural events, meetings, lectures, private parties, weddings, tea dances, formal occasions and trade fairs. 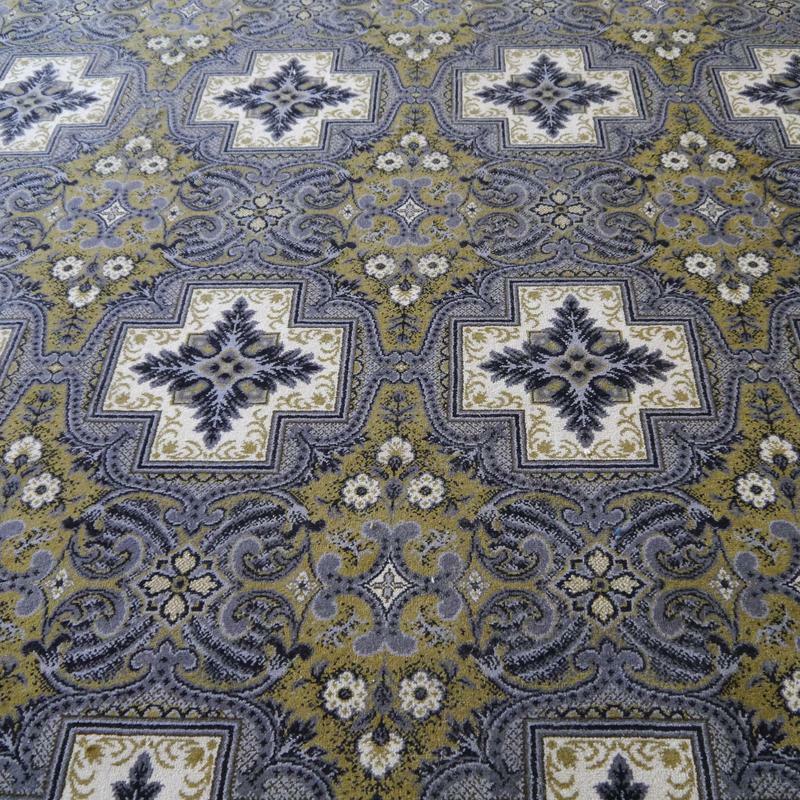 As part of a re-furbishment project to the function room, Brintons’ archivist, Yvonne Smith identified a carpet design that reflected the period and design style of the Town Hall. 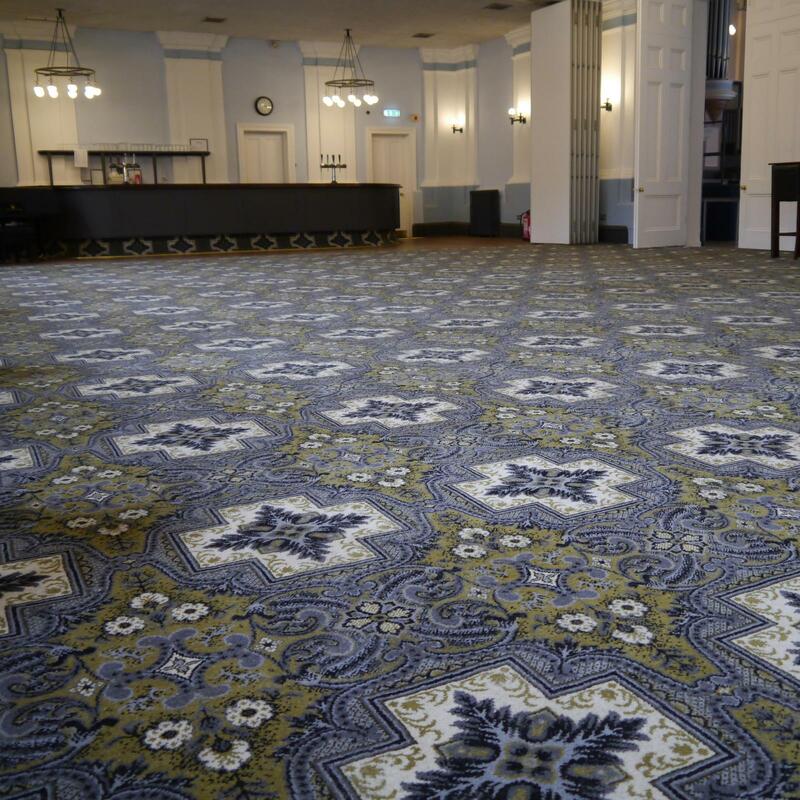 The carpet was woven at Brintons factory in Kidderminster and was fitted by local flooring contractors LGM. Kidderminster Town Hall is one of Wyre Forest’s best loved and historic buildings. 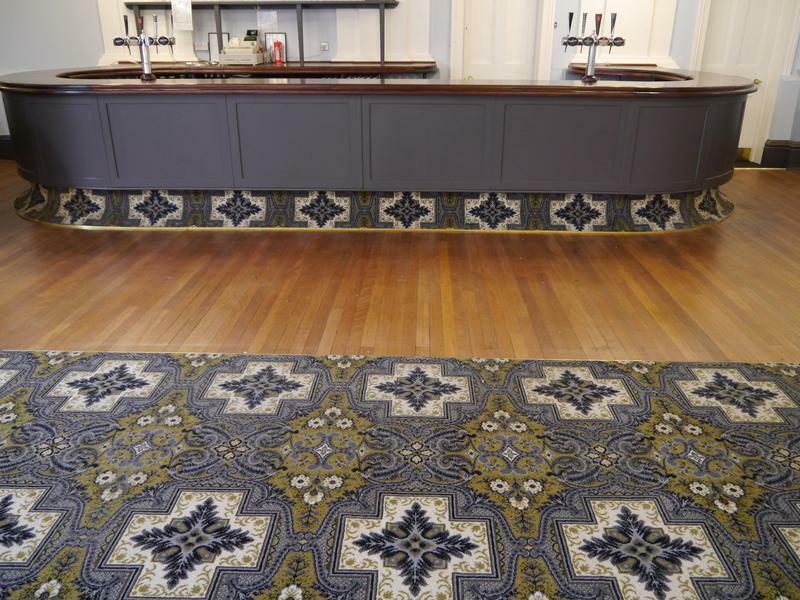 Brintons’ name is synonymous with Kidderminster, so it was fitting that they should create a carpet that enhances the town’s most iconic building so beautifully. We are delighted with the heritage design they created especially for us. It has created another beautiful room that can be used for public events, weddings and private functions. 182 sqm2 custom Axminster, designs from Brintons Archive.